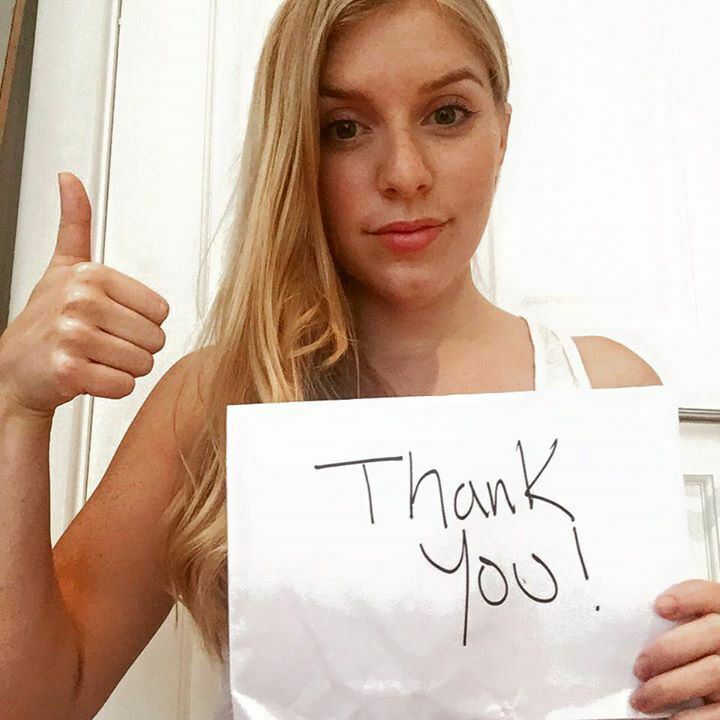 A young student has posted a public message on social media with the aim to track down the man who defended her against a sexual harasser on a London bus. 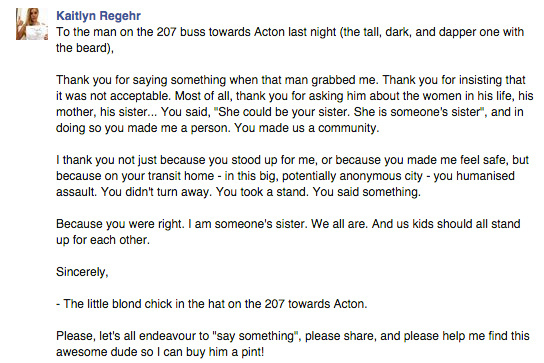 Kaitlyn Regehr, a student at King’s College London, was going towards Acton on the 207 bus when a man grabbed her inappropriately. When this happened, an unknown man stepped in to defend Kaitlyn and insisted that these actions were unacceptable. The man stood up for her, instead of turning a blind eye. Actions that didn’t go unappreciated by Kaitlyn herself. People were quick to show their appreciation and support for the man who stepped in, with the post gaining over 51,000 likes since Wednesday. “It was 10:30 at night, it wasn’t particularly late,” said Regehr. “I was on the 207 [bus] going through Shepherds Bush, when a guy copped my bum. I didn’t say anything, I just felt uncomfortable and moved out the way. Although we are sad to hear about incidents like this, it is uplifting to know that there are people out there who will step in to defend a stranger during tough times. We hope that she is able to locate the man to give him the thanks he deserves and let this be a token of appreciation for all people who stand up for others, when the circumstances call for it. To Share, Please Use the Social Media Buttons Below. Very courageous to step in. Well done, Dapper Man, and well done Kaitlyn for trying to find him and thank him!